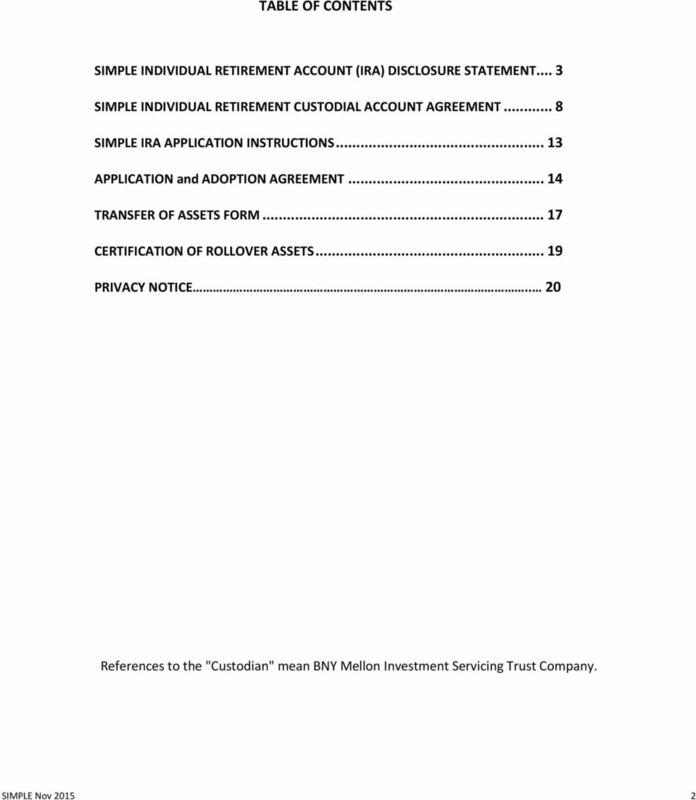 Download "TABLE OF CONTENTS SIMPLE INDIVIDUAL RETIREMENT ACCOUNT (IRA) DISCLOSURE STATEMENT... 3 SIMPLE INDIVIDUAL RETIREMENT CUSTODIAL ACCOUNT AGREEMENT..."
Custodial Account Agreement For Individual Retirement Accounts & Coverdell Education Savings Accounts For additional information please call toll-free (866) 236-0050 or visit us on the web at www.osterweis.com. 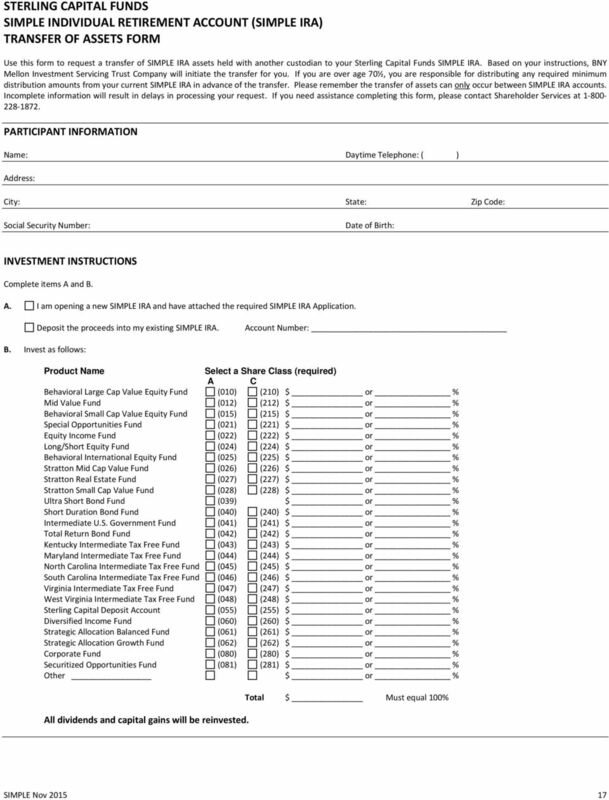 Custodial Account Agreement for Individual Retirement Accounts & Coverdell Education Savings Accounts For additional information, please contact us at (800) 341-8900 or visit www.permanentportfoliofunds.com. 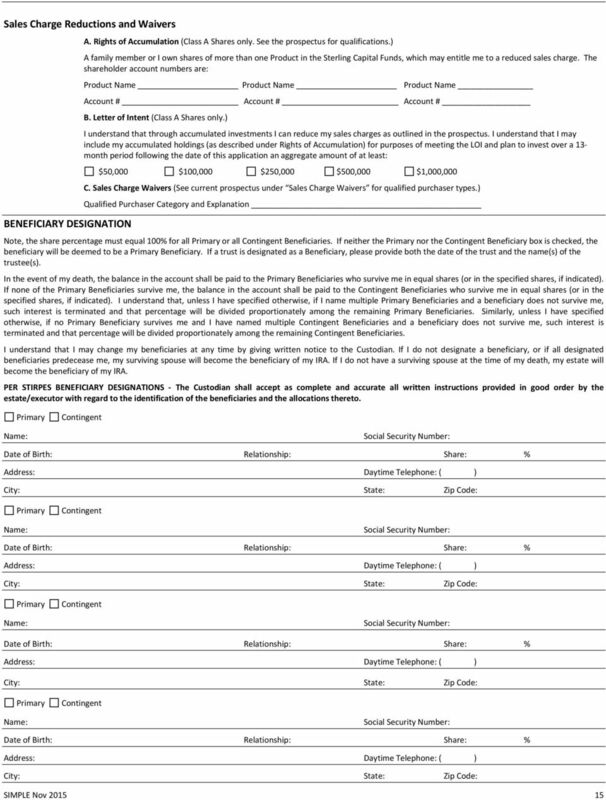 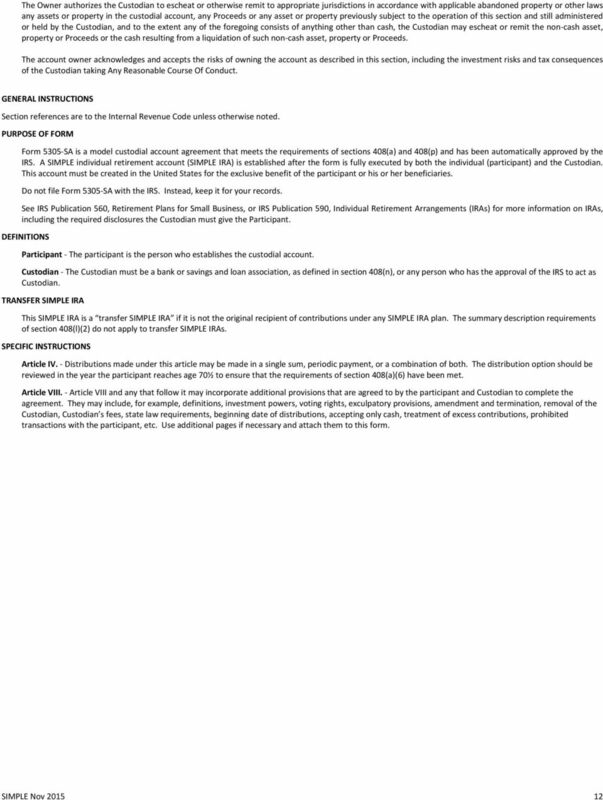 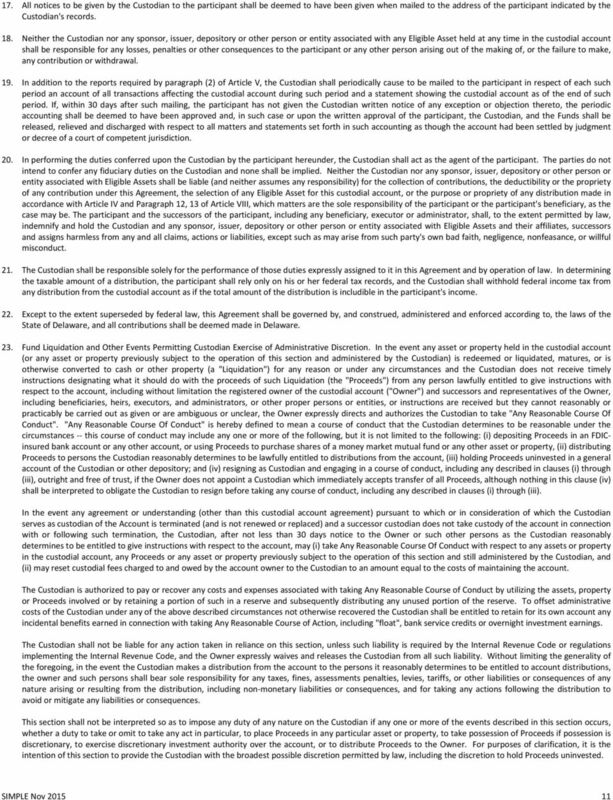 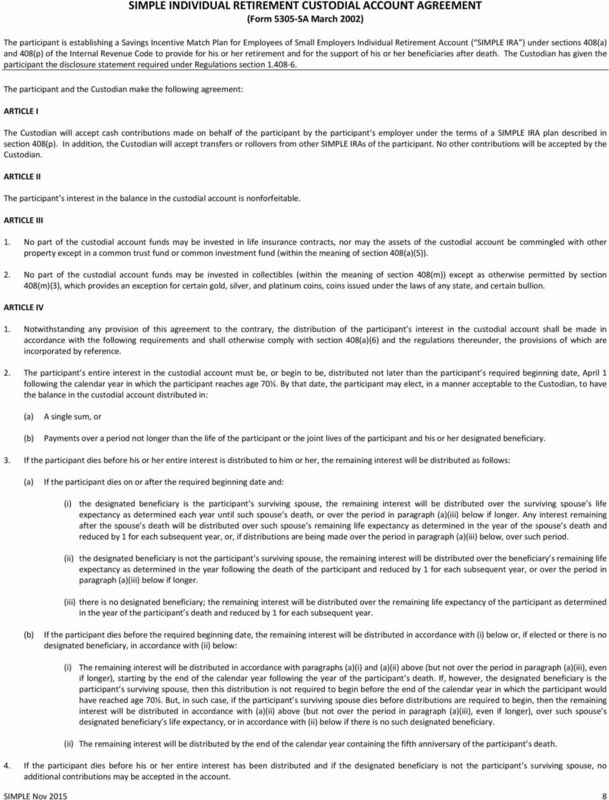 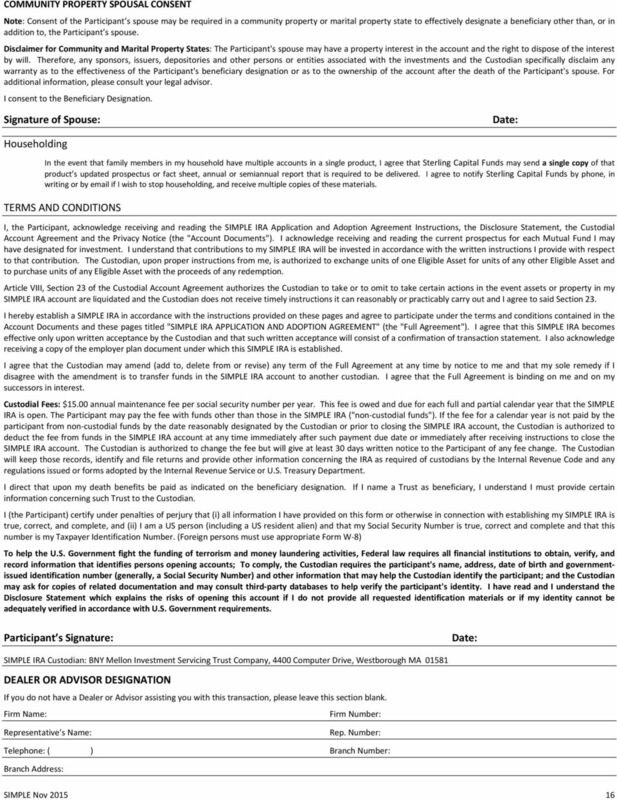 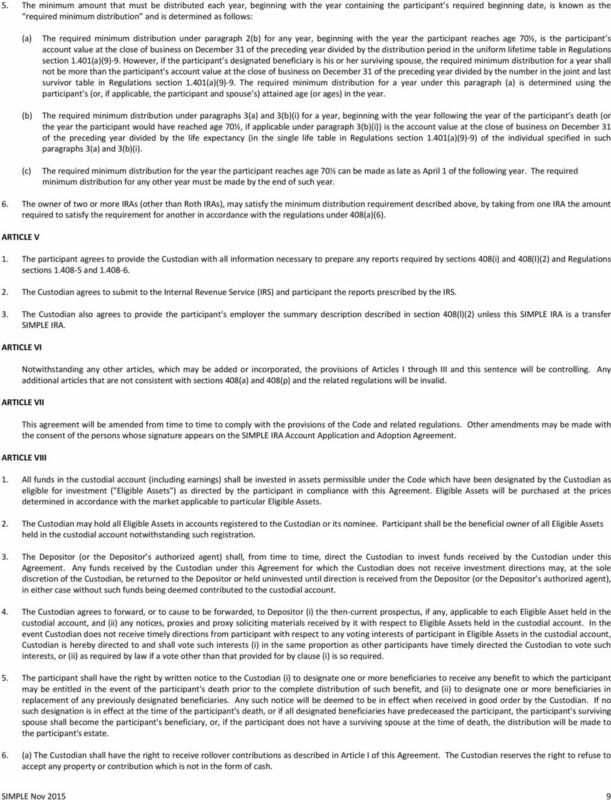 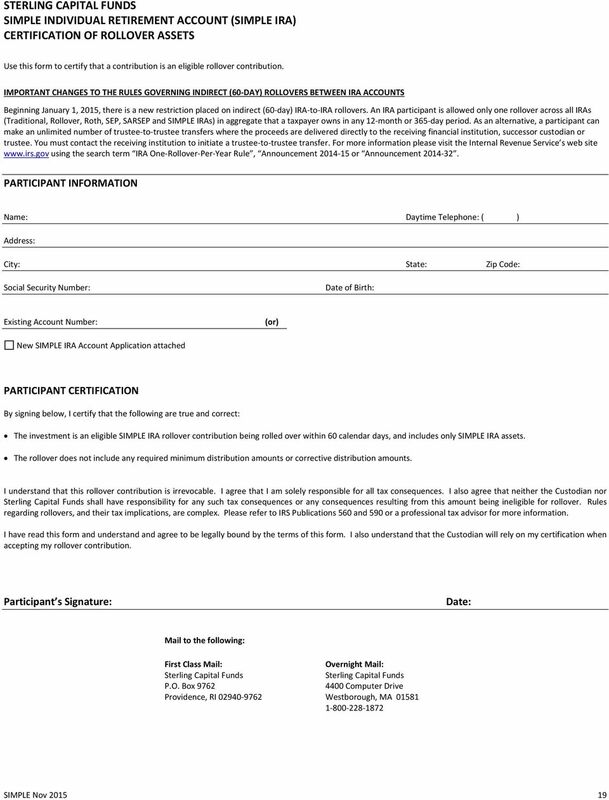 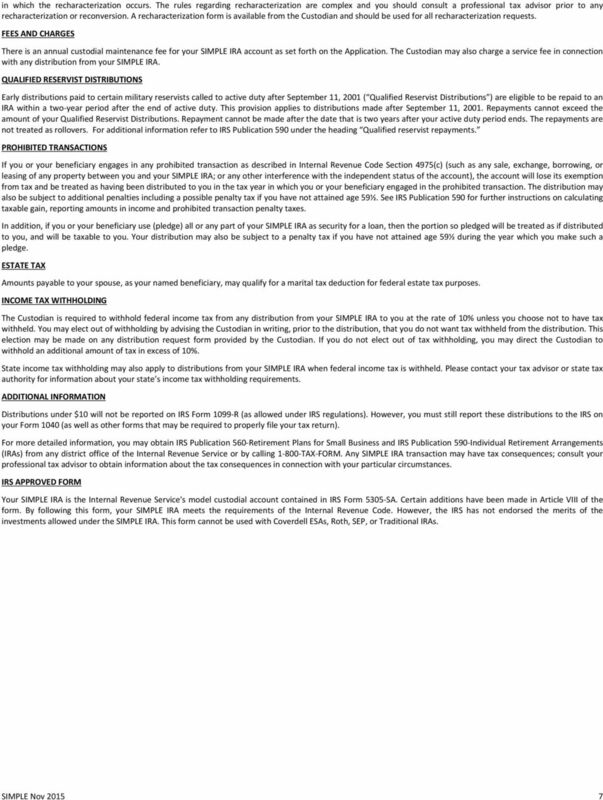 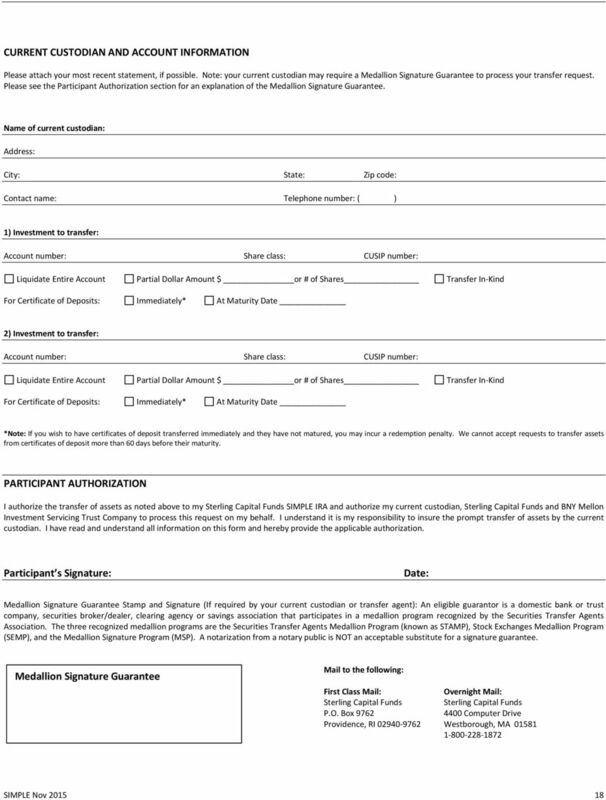 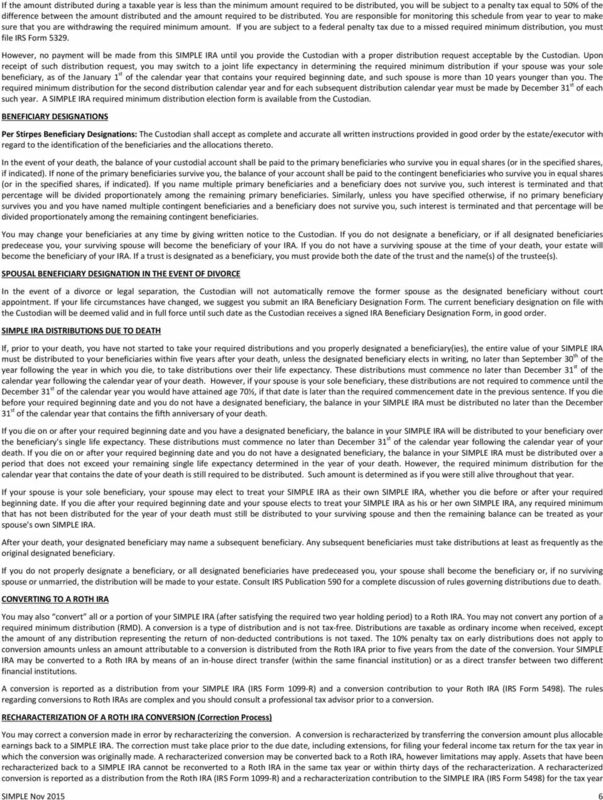 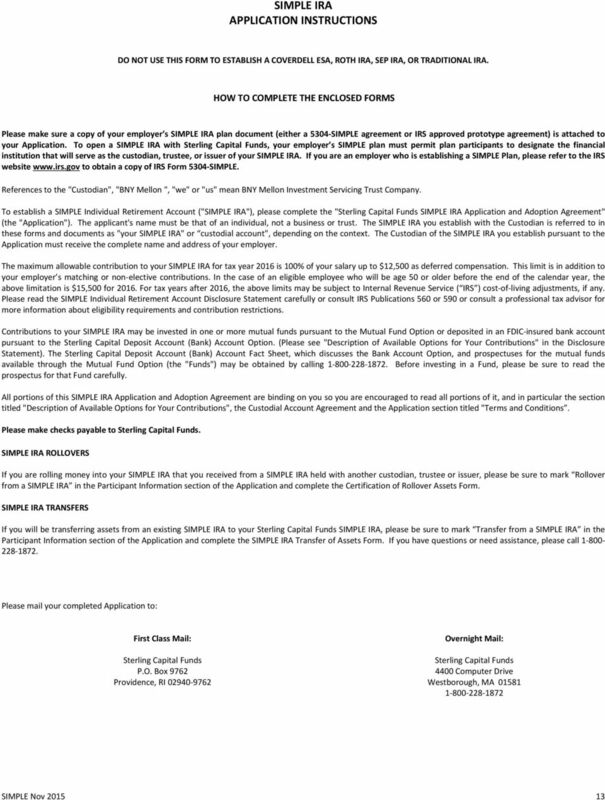 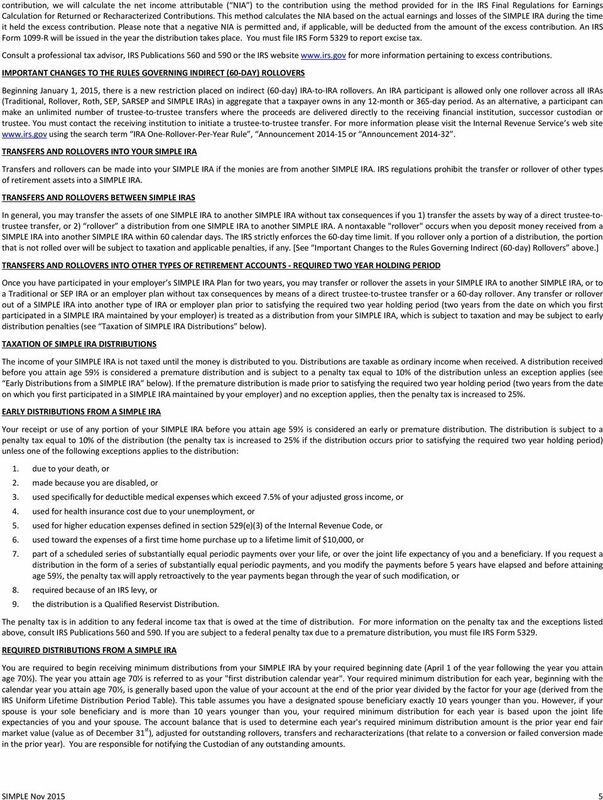 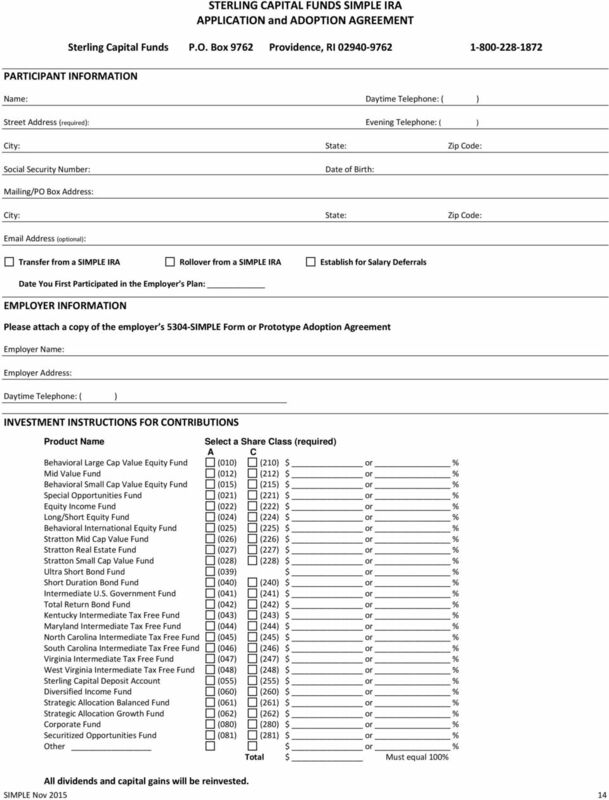 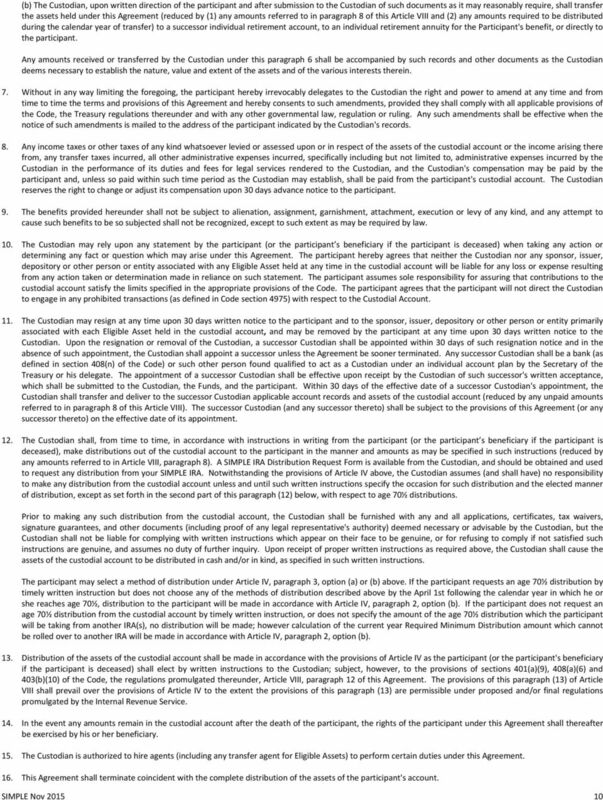 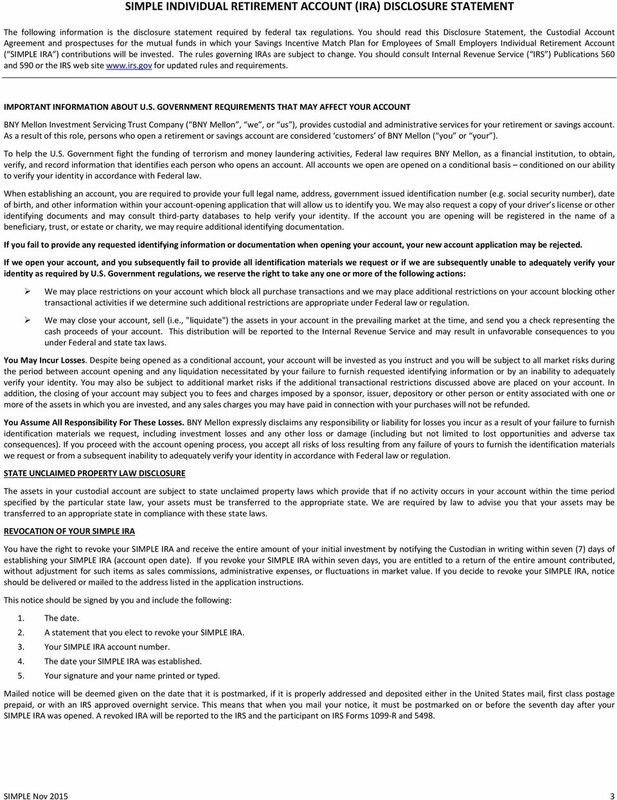 Individual Retirement Custodial Account Agreement and Disclosure Statement TO ESTABLISH A SOUTHWEST SECURITIES INDIVIDUAL RETIREMENT ACCOUNT (IRA) Complete and sign all portions of the IRA Adoption Agreement. 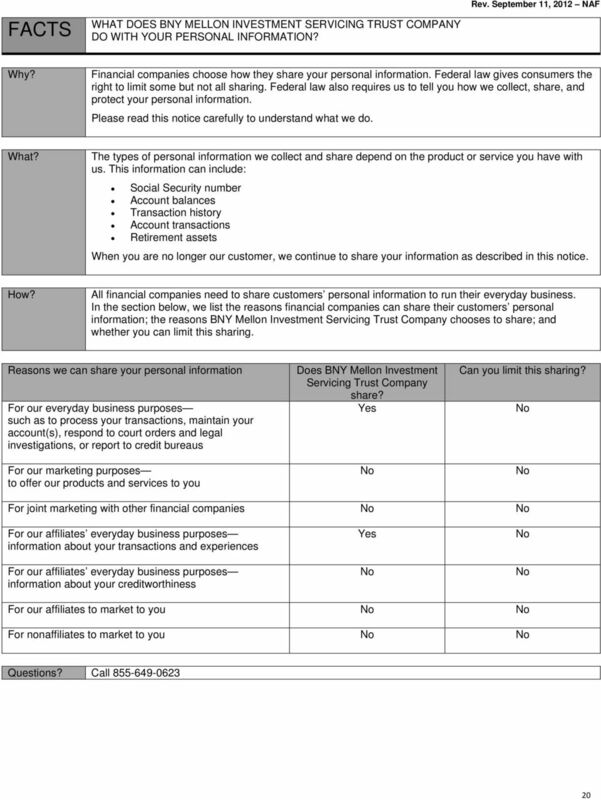 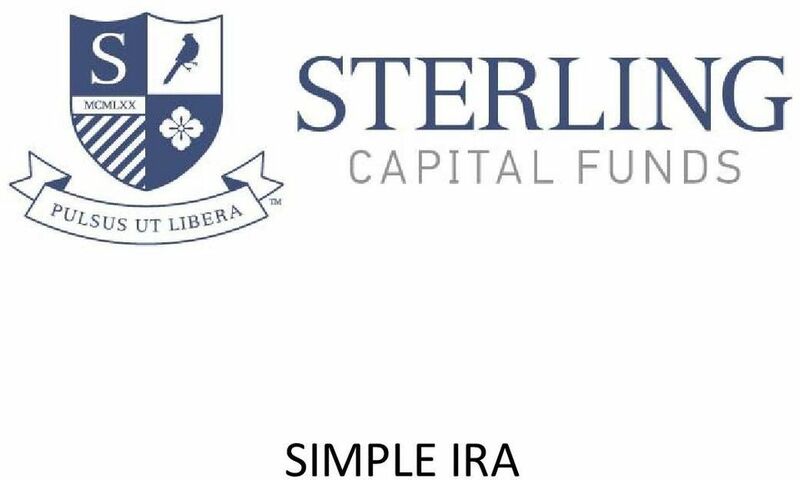 Thank you for your interest in opening a new SIMPLE IRA TradeKing Securities account.